Earlier this year Dutch architectural firm, Studio Komma, in collaboration with concept-developer The Men of Foam, used the concept of LEGO to win a design competition in the Netherlands. 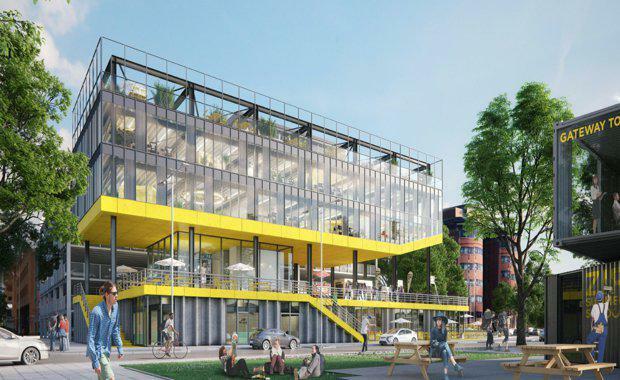 The firm submitted 'ZIP2516' to 'Challenge Kavel 2: The Urban Lab' which challenged architects to create concepts that would redevelop Kavel 2 in The Hague's Binckhaven areaThe winning ZIP2516 was inspired by LEGO-like features to reuse parts of a former car park in Gouda. The stackable concept created a flexible, transparent, and sustainable building. “It’s an innovative concept that fits with the current developments of the Binckhorst,"Hague Deputy mayor Boudewijn Revis said. "It is a win for the area around the Binckhorsthaven. The area will be enriched and optimised during the coming months. It will become a place to work, live, and spend leisure time. The Binckhorst in The Hague is a region in transformation from a closed industrial area into a vibrant living and working area. Studio Komma said ZIP2516 gave an answer, and is a concept in which social and commercial entrepreneurship is combined with a public square. 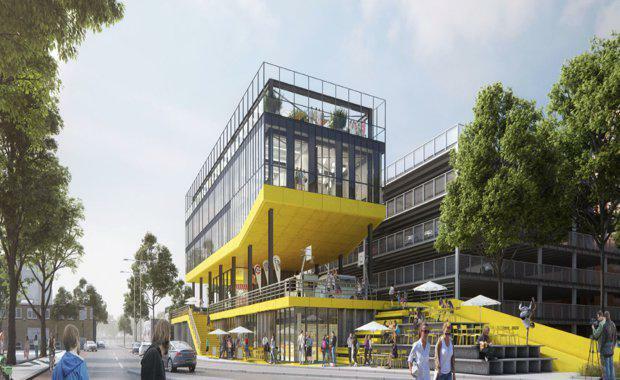 The firm said ZIP2516 is a fully demountable building whose ground floor of building is occupied by a training centre, catering and hospitality facilities. The first floor of the building is a public plaza and terrace for events, meetings and sports, called the Urban Playground. The second and third floor of the building accommodate an incubator for startups. The top floor of ZIP2516 offers a place of social interaction, combining a terrace with a garden. "ZIP2516 has a wide circular concept," the firm said. 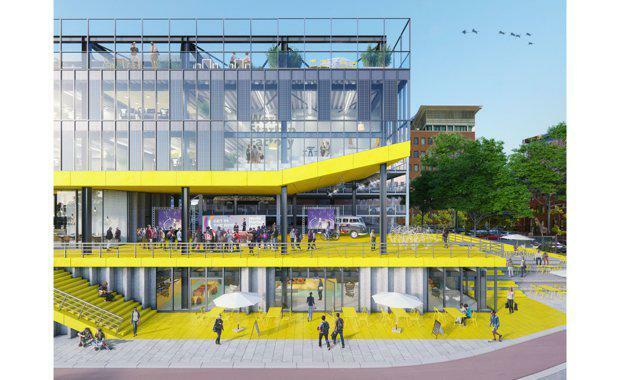 "In addition to the “Lego principle” (complete disassembly and moveable) the building makes use of the donor material of an old parking garage. The material of the garage can be reused for about 95% in the new building. In addition, the recycled materials are used in such a way that they are also removable and displaceable. "ZIP2516 is designed to be a future-proof building. The facades of the building consist of “smart panels. Panels can be linked, and which accommodate the installation of the building. "This allows for flexible floor plans, and the ability to provide the building in the future of an upgrade. Solar cells in the walls and on the roof control the energy demand and provide energy neutrality."